Are you looking for experienced dentists in North Miami Beach or Aventura? With over 40 years of combined experience in the dental field, our entire team has the training and expertise to enhance your smile’s aesthetic and overall health. Whether you need a general examination, gum disease treatment, or North Miami implant dentistry services, our well trained and friendly staff will make sure that your comfort and care is our top priority. 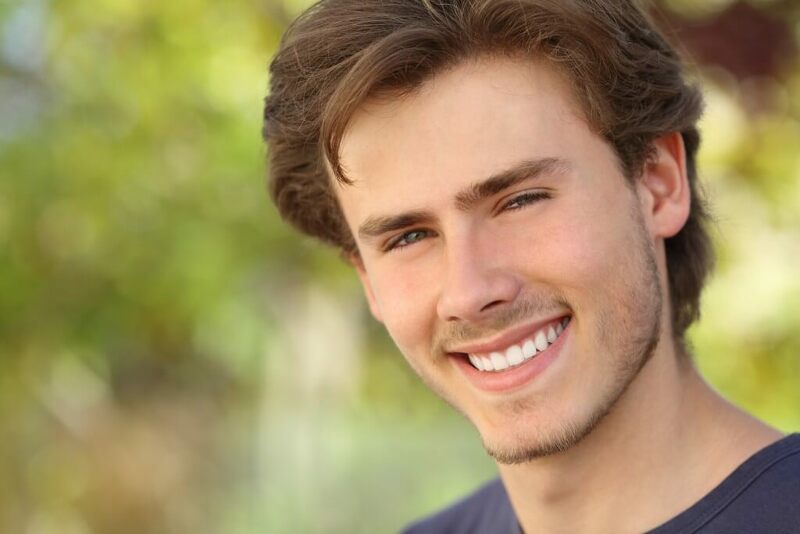 In his North Miami dentist office, Bill Abbo, DDS, MS offers prosthodontics and dental restoration services aimed at restoring and enhancing your natural teeth. Eli Abbo DMD is a trained periodontist. If you are missing multiple teeth and have considered implant dentistry as a possible treatment option, our dentists use titanium dental implants that replace teeth while also improving the function and aesthetic of your mouth. As a Miami Beach cosmetic dentist, Dr. Abbo understands that a healthy self-image can have a drastic impact on your personal and professional relationships. If you’re embarrassed by your discolored or misaligned teeth our porcelain veneers are bonded in front; simultaneously straightening and whitening your smile. Our Miami Beach dental staff is dedicated to upholding high standards. We make it our duty to help educate our patients on the finer points of dental hygiene and oral health care. If patients can become informed about the helpful ways to prevent gum and dental disease, complicated procedures and issues can be avoided later in life. We always review your medical history to stay 100% informed about how we can best take care of you, and our staff is constantly continuing their education and training in order to better serve our patients and to stay up to date with the latest breakthroughs and advancements in the field. Finding a reliable dentist in North Miami Beach or nearby Aventura can be tough. Make Dr. Abbo Dentistry your regular dentist by scheduling an appointment today with our expert staff. We’ve been recommended by the American Dental Association and the Occupational Safety and Health Administration among others, so patient safety and comfort is guaranteed. Contact us today to start a healthy, long-lasting relationship. The North Miami Beach dental office of Dr. Abbo is located in North Miami Beach, Florida serving the areas of Miami, North Miami Beach, Aventura, Hallandale, Opa Locka, Hollywood, Miami Beach, Bal Harbor, Pembroke Pines, Fort Lauderdale, Hialeah, Pompano Beach, Dania & Key Biscayne, FL. Please browse through our website and be sure to give us a call if you have any questions or would like to schedule an appointment with our North Miami Beach Dentist.